Home / FAQs / Is there to be a warm up match played in the UK or Ireland ahead of the tour? Is there to be a warm up match played in the UK or Ireland ahead of the tour? In 2005, the British & Irish Lions played one warm up match at the Millennium Stadium in Cardiff against the Argentina Pumas on the 23rd May 2005 before heading out to New Zealand for the official start of the tour. The game was seen by many as a revenue generating exercise to pay for the vast numbers of playing staff and management that embarked on the tour. The fixture was heavily criticised in many quarters due to over-inflated ticket prices, poor scheduling (the match was held on a Monday evening) and for the poor atmosphere at the game. In 2009 there was no repeat of this fixture, but in 2013 the Lions played a one off fixture in Hong Kong against the Barbarians (which allegedly had much to do with the influence from principle sponsors HSBC) which is the only pre-tour fixture the Lions played outside of Australia. In 2017, there are currently no additional fixtures planned outside of the main tour in New Zealand. 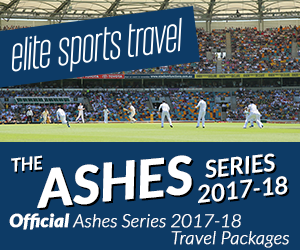 ← Previous Story What should I do if I really want to get hold of match tickets without purchasing a tour? Next Story → Who are the official sponsors of the British and Irish Lions?